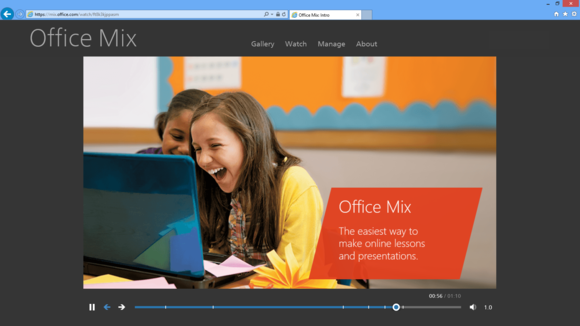 Microsoft said Tuesday that the company has opened up a private preview of Office Mix, a new Office app designed to entice users into a presentation through screencasted video and interactive lessons. 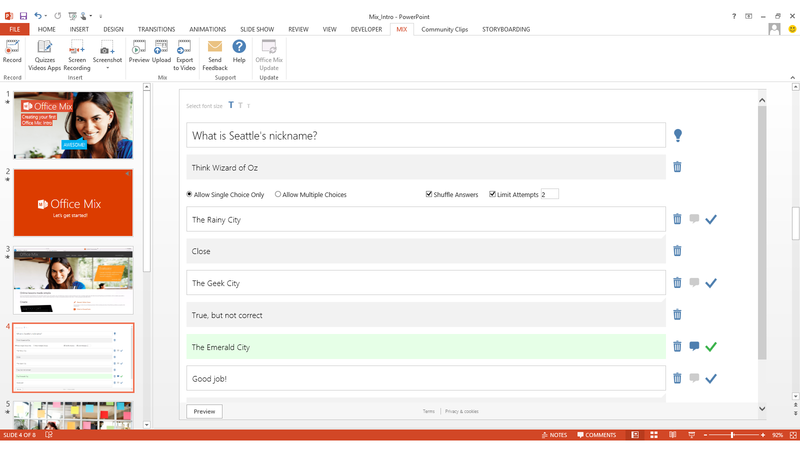 Microsoft is pitching Office Mix as an interactive tool for the classroom, although Office Mix's appeal should be broad enough to be used in business or even the home. Users can sign up for the preview by clicking the link at the end of the blog post Microsoft published on Tuesday announcing Mix. With Mix, Microsoft is basically acknowledging that Office presentations are a crutch: not quite as good as live instruction, which can present the whole story. 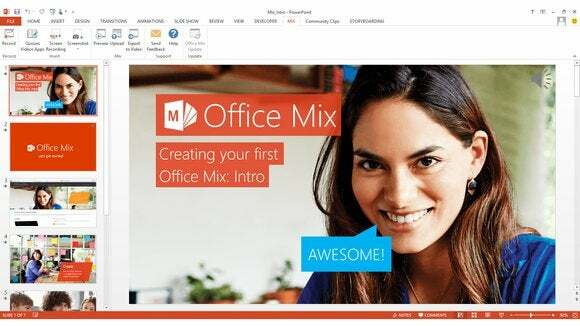 Office Mix, an add-on application for to Office 2013, solves that problem, Microsoft said. Microsoft's Office Mix, shown in playback mode. 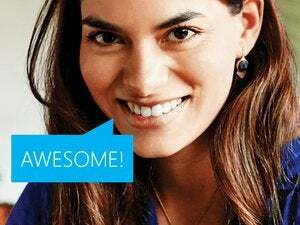 "Office Mix adds functionality to PowerPoint 2013 that allows you to record audio or video of yourself presenting, write on your slides as you speak to them, insert quizzes, polls, online videos, and more," Microsoft's Office Team blogged. "In fact, you can even do full screen capture and record anything on your PC." With Mix, each PowerPoint slide will include an additional tab for supplemental information. These fall into three important categories: recording video of yourself making the presentation, "screencasting" how your mouse or finger moves through a scene or application, and providing tests or quizzes to measure how your audience has done. On the back end, Microsoft's Office Mix supplies a fourth element, analytics, to measure how long a given student or colleague spends on a given slide, for example. According to Microsoft, each slide will contain its own video and instruction, so that slides can be reordered as you might expect. Video recordings also work as an element in a given page and can be reoriented as users choose. Screencasting may be especially useful for those who want to walk colleagues or students through a Web site, helping them sign up for health care, for example, or guiding them on how to book a conference room or ask for vacation time. With a screencast, your screen becomes a sort of VCR, recording your mouse movements and keystrokes. Microsoft also said that quizzes and interactive apps can be inserted into slides, giving students a chance to test what they know. As a guide, Office Mix will add exercises and lessons from the Khan Academy and CK-12 Foundation, providing a jumping-off point for students. You can control things like how many attempts the students get, provide hints, add a timer, randomly change the order of the multiple choice questions, and even provide feedback on the particular answers the students select, the Office team said. Office Mix will offer quizzes to test students or colleagues. Perhap unfortunately, Mixes are designed to live online, so Mixes can't really be saved, only shared as links. They don't need Internet Explorer necessarily, however, just a "modern browser" like the latest versions of IE, Chrome, or possibly Safari. 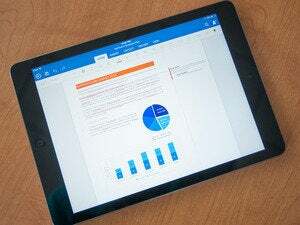 "We’ve been amazed at how our early pilot testers are using Office Mix," Microsoft said. "Some have used it to record entire lectures for absent students. Others record so that students can re-watch important lessons to study or review. Some have used Office Mix in blended learning, a new trend where the lecture takes place in non-traditional places, for instance at home, and class time may be used for more individualized instruction." It isn't clear whether Microsoft plans to charge for Mix, or whether it will be one of the Office Apps that users can download from Microsoft's online store. Microsoft also did not say when it planned to open up Mix to the general public. Microsoft's TechEd conference begins next week, however, so it's a safe bet we'll hear more there.